Electric Race News: McGuinness scored an odometer moment - 115+ miles/hr in TT ZERO - what does it mean? 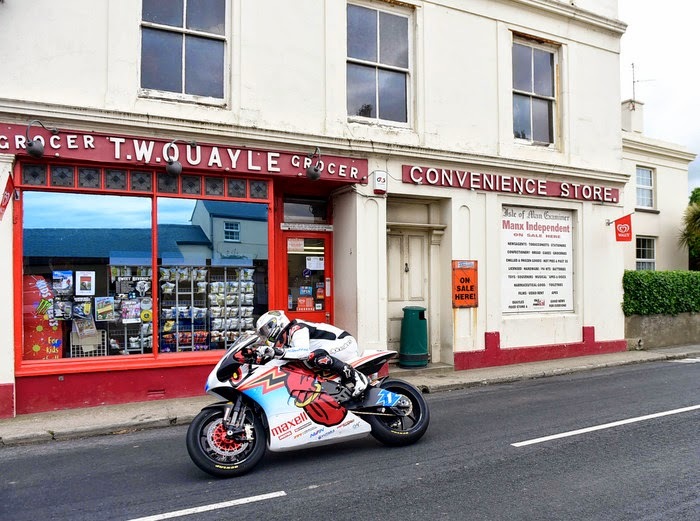 McGuinness scored an odometer moment - 115+ miles/hr in TT ZERO - what does it mean? Earlier today Mugen Shinden's John McGuinness shattered the TT ZERO lap speed record - it now stands at 115.598 miles/hr. His teammate, Bruce Anstey, also broke the previous record, which had been set by Anstey on Saturday, with a 113+ miles/hr lap speed. These two are top riders in the TT, for example Anstey set the overall lap speed record just yesterday at over 132 miles/hr. Setting a new record is an accomplishment for the riders, but in this case I feel called to take a step back and consider the broader context. In Motorsports, that's a very fast rate of improvement. In gassers they might see a 1 or maybe 2 miles/hr improvement year-on-year, we're seeing 5+ miles/hr per year. This has been true not just in the TT ZERO, but in other series. We saw similar improvements at the Laguna Seca race - variously known as e-Power, e-Power/TTXGP or eRoadRacing. While the 2011 lap speed record by Mission Motorcycles was not broken in 2012 or 2013, the rest of the field moved forward considerably at Laguna Seca. There is a Mission Motors drive train inside those Mugen Shinden bikes, by the way. The gap between gassers (132 miles/hr lap speed) and electrics (115.598 miles/hr) on the TT course is closing rapidly. Electrics are gaining 5 miles/hr or so per year, the gassers gaining at a lower rate. Does this mean the 17 miles/hr gap between the two will close within 3 or 4 years? During the 2017 season will we be celebrating Yamaha Racing setting the outright the lap speed record on the TT Course with an electric bike? A year ago we were celebrating Lightning Motorcycle's outright win in the Pikes Peak Hill Climb. Carlin Dunne beat the whole field, top motorcycle racers sitting on 1200cc Ducati's, by over 20 seconds. With an electric motorcycle.